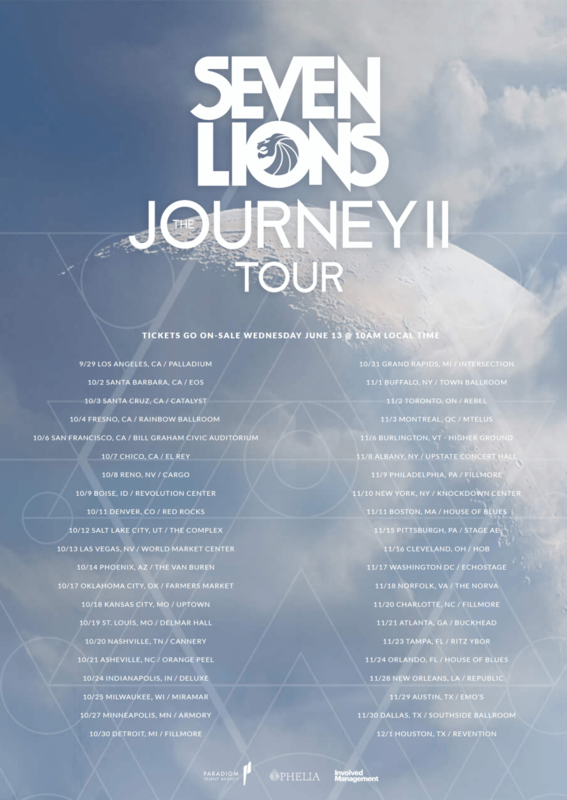 Seven Lions just announced a massive North American Tour: The Journey 2! The talented artist, who has also recently released a hit single “Horizon” with Tritonal and Kill The Noise, shows no signs of stopping as he prepares to embark on his fall tour. The tour will kick off at the Hollywood Palladium on September 29, hitting 42 cities across America before finishing out his tour December 1st in Houston, Texas. Check below to see if The Journey 2 is coming to a city near you!